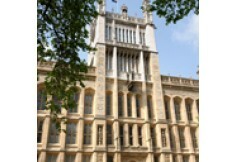 An agent from King's College London, will contact you shortly with more information. Provides advanced-level training in the application of environmental modelling and monitoring, remote sensing and geographical information systems (GIS) to environmental management and the prevention, mitigation or adaptation to environmental change. For those seeking a deeper understanding of environmental processes and techniques for managing environmental change. - Focuses on the delivery of important technical skills (GIS, RS, modelling and monitoring). - Students form strong links with departmental research groups and external organisations in the UK and beyond. - Established since 1997 and supported by fully funded NERC scholarships. This programme examines how to assess the causes of and manage the consequences of environmental, climatic and land use change. You can choose to take either a 'Research' or a ‘Consultancy’ stream: they share core training elements but the Research stream links to a departmental research group working on aspects of environmental modelling and monitoring and the Consultancy stream focuses on training in environmental management and consultancy. We use an apprenticeship approach which embeds students in a departmental research cluster (research stream) or an external environmental, governmental or industrial agency (consultancy stream). Both streams can include a dissertation placement collaborative with UK or overseas external organisations. Research stream students tend to go on to PhD placements whereas consultancy stream students go into environmental careers. Students take either a Research stream or a Consultancy stream. Continuous module assessment. Students following the Research stream must take six compulsory modules, plus a dissertation. Students following the Consultancy stream must complete a dissertation plus five compulsory modules and an optional module from other master's degree programmes in the department, including the Environmental Internship. This module enables students to capture spatial GIS data from a variety of sources, to assess and manage spatial data quality, to integrate and analyse these data within the latest business and research standard GIS environments. The module focuses particularly on the integrated use of spatial (GIS) data alongside remote sensing technologies and simulation models for better understanding and managing the natural environment. Various aspects of spatial and spatio-temporal analysis are covered and the role of GIS in supporting management decisions is emphasised. Course materials focus on the physical environment and ecological systems but include socio-economic information where necessary. The module enables students to understand the information content of optical, thermal and radar remotely sensed data and to be able to identify the appropriate type of data for use in different environmental investigations. Students will learn to understand and apply various data calibration, processing and analyses techniques to maximize the interpretation of remotely sensed imagery. They will search, order and import various types of remote sensing data into appropriate software packages, and will be able to identify, obtain, calibrate, process and interpret data from sensors such as the Advanced Very High Resolution Radiometer and/or Landsat Thematic Mapper to illustrate examples of environmental change phenomena. This module aims to provide a background in issues and methods involved in doing environmental research, including research methods and design. To achieve this, the module consists of a series of lectures, seminars, and practicals giving an overview of methods in designing, analyzing, presenting and evaluating environmental research. A subcomponent of this module will be an additional unassessed but required set of practicals and seminars giving a overview of laboratory and field equipment available in the KCL Department of Geography. On completion of this module, the student will be able to define the features of environmental problems and will be able to assess environmental investigations in terms of their design strategies for collection of data, data analysis, and results presentation. When taken with SG/5111 the students will be fully equipped to carry out their own independent research into environmental problems using these methodologies. Through seminars and hands on experience, this module enables students to develop a research-level understanding of environmental modelling applications and limitations. Students will gain the ability to build, develop and apply a wide-range of modelling solutions to environmental problems. Students will also be able to critically assess research involving models and the application of models. This module enables students to demonstrate understanding of the concepts of modernity and postmodernity and the theoretical questions raised by the task of representation. To demonstrate cognisance of the similarities and differences between the modern and the postmodern city over time and space. With its focus on tourism in practice, this module will strengthen considerably the Tourism, Environment and Development Programme. Although the Programme focuses heavily on the developing world, two field visits to locations in the UK will prove appealing and thought provoking to students critical analysis of tourism in practice. The field visits and subsequent classroom discussions will assist students in their analyses of secondary source material, which is the dominant element of this course. The experience of researching information and presenting it in different ways will contribute to the development of students knowledge and skills, and will be of value to them in the preparation of their dissertations. The combination of lectures, field visits and student presentations will increase the depth of understanding of Heritage tourism and its practical implications. This module introduces students to the history of politically organised space and the territorial origins and characteristics of the Westphalian state system. It reviews the changing manner in which political geography and geopolitics have covered the questions of international boundaries and state territory over time; from traditional deterministic concerns, through the humanisation of borderland studies to deterritorialisation, reterritorialisation and postmodernity. Students develop a familiarisation with the methods by which territory may be acquired in international law and gain a working knowledge of the principles, problems and practicalities involved in ocean boundary-making. Students are appraised of the various debates existing in political and international studies over the importance of international boundaries and state territory. This module is organised around three main themes that have been central to the way that thinkers have conceptualised the city: shape, circulation and crowds. Shape refers to the physical form and layout of the city which together comprise its legibility; circulation refers to the importance of movement, networks and transactional spaces in the city; and the crowd refers to the significance of anonymity and numbers of people in cities. Each of these themes is explored in the context of different theoretical approaches that have been important in the history of urban thought. This module examines the way that the environment is understood within the context of development, focusing on the global South. It explores the importance of the environment and natural resources to the development process, and the legacy of colonialism and underdevelopment in framing environmental problems. Finally the module considers recent shifts in the debates surrounding development and the environment initiated under both economic restructuring ( the so-called Washington Consensus) since the 1980s, and the increasing attention to global environmental problems, including biodiversity and climate change. This module enables students to understand the main opportunities and constraints facing the policy-influencing capacities of environmental organisations, through the medium of an internship placement with an NGO. Students gain insights into the workings of environmental organisations and a feel for the day-to-day working practices of environmental activists. While on placement students learn how to collect/process environmental information relevant to the campaigning activities of environmental organisations, and subsequently put together a structured and coherent report reflecting on their practical experience. This module enables students to understand the main problems and opportunities of environmental actors with regard to environmental policy formulation and implementation. To have an insight into the pertinent debates surrounding the role of different environmental actors in the environmental management process. To understand debates surrounding differences between environmental policy-making in advanced economies and the Third World. To understand why different environmental actors are pursuing different agendas with regard to environmental policy and politics. The course allows students to explore the multiple and contested Nature(s) and identify how these contestations are encountered in politics and policy. The significance of everyday practices in shaping cultural understandings of places and their populations are drawn out through both historical and contemporary readings of Nature. These readings are inherently political. Through the analysis of multi-media information including academic texts, policy documentation, art and film, the question of a stable and shared national identity with one type of nature is put under question. Seminar discussions expose to critical examination the interaction between constructions and experiences of different natures and socio-cultural and political structures. The management of both freshwater resources and freshwater ecosystems is dependent upon an ability to understand, quantify and forecast hydrological processes and their interactions. Therefore, this module aims to present an overview of hydrological processes in different environmental contexts. It will provide a critical understanding of how water is stored and flows through river catchment areas, consider the measurement and estimation of particular hydrological processes, the linkages between them and, in particular the relationships between surface and sub-surface processes and the impacts of land use. The module will also explore how hydrological processes interact and underpin larger scale catchment behaviour and assess the relevance of these interactions for flood forecasting and management of water resources. This module introduces students to the details and practicalities of environmental monitoring, using a variety of methodologies and measurement techniques, specifically using electronic-based sensors and instrumentation. Students acquire the skills to manipulate raw field, laboratory and logged data for analysis, to monitor, measure and analyse data on environmental stores and fluxes, and to interpret, analyse and present field and laboratory data clearly in written reports in order to explain processes operating in the environmental system under investigation. Students will also gain experience to design field or laboratory based research projects to monitor environmental systems, making use of appropriate field, laboratory and measurement equipment. Field monitoring methods are taught in the context of atmospheric environments, catchment monitoring, fluvial systems, hydrological processes, complemented with a practical fieldwork exercise. This module examines the governance of risks to human health and safety and the environment in a wide range of governance settings. The module develops conceptual understanding of the mechanics and dynamics of risk regulation regimes and examines a range of explanatory approaches to risk governance. Specific aims are to: - develop understanding of the variety of ways in which risks to human health and safety and the environment are governed; - develop understanding of the concept of risk regulation regimes as a tool for describing and analysing risk governance variety; - develop understanding of the range of factors that shape risk governance regimes, how they succeed and why they fail; - develop understanding of trends in the reform of risk governance regimes and the related impacts of reform. This module explores the emergence, practices and problems of risk management. It will help the student develop both a conceptual and practical understanding of risk management from a range of institutional, social theoretic and practice orientated perspectives. Specific aims are to: -develop understanding of risk concepts and the emergence of risk management; - develop understanding of the character and diversity of risk management practices across the private and public sectors; - develop understanding of a range of social theoretic critiques of risk management; - develop understanding of the organisational factors that shape risk management practice, success and failure; to help the student critically evaluate and address risk management problems in a range of institutional settings. This module aims to provide the key knowledge and understanding necessary to support the development of management strategies for rivers. It therefore embraces three complementary topics: the dimensions of catchment and river system processes, particularly the connectivity between catchment, river and their floodplain processes and the interdependency of hydrological, geomorphological and ecological processes; the ways in which human activities at a range of spatial and temporal scales impact on the fluvial system and how these impacts propagate through the catchment, river system and floodplain; the options available for environmentally-sensitive management of rivers, their catchments and floodplains. This module explores the nature, forms and processes of social change in global cities. It examines the socio-economic changes which are reshaping global cities, linking these to a series of other changes including migration, occupational structure, income, ethnicity, the structure of the housing market and social segregation. The module enables students to adopt a critical approach to the relationships between the environment, agricultural production and change and political ecology in southern Africa. It covers the agricultural and environmental characteristics of the southern African region, including both the small-scale and large-scale agricultural sectors, and the discourses and debates about how these should be interpreted and analysed. It provides a strong appreciation of how structural factors such as land alienation and migrancy influence contemporary agricultural performance, and the significance of indigenous knowledge and the limitations of technocratic solutions. The module also addresses critically the philosophy behind, and empirical outcomes of, CBNRM approaches in a region rich in wildlife and national parks. The module examines the influence of historical urbanisation paths as constraining factors on the production of geographies of urban environmental risk and security. Theorise the relationships between social structures and human agency in negotiating the distribution of risk and vulnerability in the city. Examine the utility of environmental risk as a lens for viewing crises of urban development. Through grounded case study analysis to identify the complexity of living in places of urban risk and vulnerability, to unpack the interaction of urban livelihood sustainability with vulnerability and the tensions that come from the demands of living in poverty and with vulnerability. The module enables students to have contact and presentations from a number of personnel directly involved in environmental management in the commercial world. It gives students an understanding of the interdisciplinary processes involved in environmental management, enabling students to design management solutions to a number of environmental problems. It enables students to present the results of an environmental management investigation both orally and in a written report. This module introduces students to contemporary and historical mechanisms for boundary territorial dispute resolution. Provide a practical understanding of the manner in which the World Courts gain jurisdiction to try territorial/boundary disputes and of the manner by which they have resolved them to date. Facilitate an appreciation of the range of underlying issues that characterise contemporary individual territorial disputes, from complex issues of decolonisation, through partition and secession to attempted annexation. Review in detail recent cases of international boundary settlement on land and sea, reached through remodule to bilateral negotiations, arbitration or judicial settlement and appreciate the arguments, principles and evidentiary issues that prevailed. Provide a basic familiarity with the types of primary evidence used in boundary territorial settlement before the international courts, typically documentary and cartographic materials held in the major London repositories. 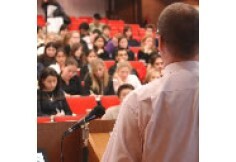 Through seminar discussions, students will consider a range of philosophical approaches to the social sciences, from positivism and empiricism, to hermenuetics, marxism, and post-structuralism, and discuss the relationship between theoretical debates in particular disciplines to those within the wider social sciences. Each seminar will begin with student-led discussion of readings and then end with a more formal presentation from the instructor to introduce the material for the coming week. After charting the growth and development of tourism at a global level and also within countries of the South, the module adopts an analytical approach, examining the impact of power relations and risk on tourism development at different scales in developing countries. It examines the different roles played by different interest groups in the industry and the inter-relationship between these groups. It analyses the advantages and disadvantages of tourism on economies of the South and examines possible ways of bringing theory and practice in tourism together in the pursuit of socio-economic development. The module reviews the experience of urban regeneration in the context of post second world war urban policy and developments. This is done mainly from a British perspective but North American and European examples are drawn up and it is hoped that Professor Bob Beauregard who is a leading North American urban scholar and a visiting professor will lead one session. The first part of the module discusses the experience of urban decline and resurgence over the last half century. In the second half we look at a number of specific issues including the conflict between the concepts regeneration and gentrification, the role of culture and in particular focus on the regeneration of East London and the role of the Olympic Games. In the final week, there is an East London fieldtrip which includes a visit to the Olympic site (subject to continuing access being granted). This practical module will provide masters students with hands on experience working with selected urban research organisations (e.g. national and local government departments, museums, urban think tanks) involved in urban-based research, policy formulation and implementation in a major city (normally expected to be London). The module will enable students to ground theoretical and conceptual issues relating to urban research in a practical setting. This module enables students to evaluate the way in which globalization (in the form mainly of structural adjustment programmes) has influenced African cities and contemporary livelihoods and economic strategies (employment, incomes, food and shelter) for the majority of Africa's urban population, the urban poor. Assessing urban growth patterns in this region and its periodization and the changing nature of rural-urban migration and linkages over time. The constraints on planning and servicing imposed by extreme resource constraints and the privatization encouraged by structural adjustment are evaluated. The module also explores the specificities of the urban experience in southern African countries with their legacies of institutionalised and racially-based influx control. This module provides an interdisciplinary introduction to the recent history of water resource allocation and management especially in Asia, Africa and the Middle East. Priority will be given to outlining a conceptual framework identifying the relevant underlying ecological, economic and sociological principles relevant in the evaluation and management of water resources. The conceptual framework will also show the link between these underlying principles and environmental and economic policies. The roles of the institutions and technologies through which such policies can be implemented will also be analysed and exemplified. One year FT, two years PT, September to September.